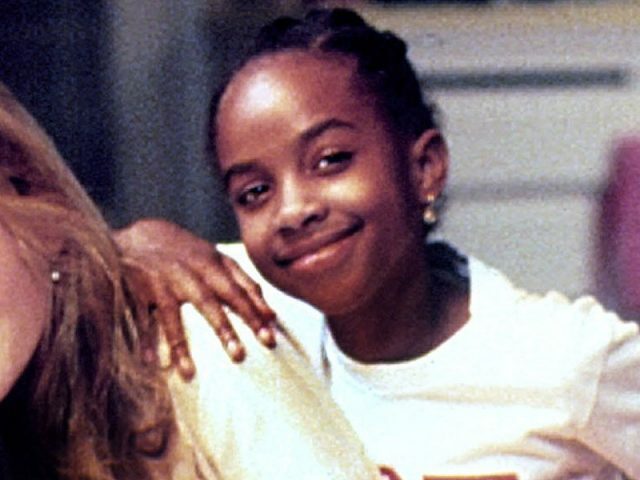 This is the sixth installment in a series of Baby-Sitters Club character analyses/essays. Turns out, the gals aren’t as rad as we thought they were back in the ’90s. 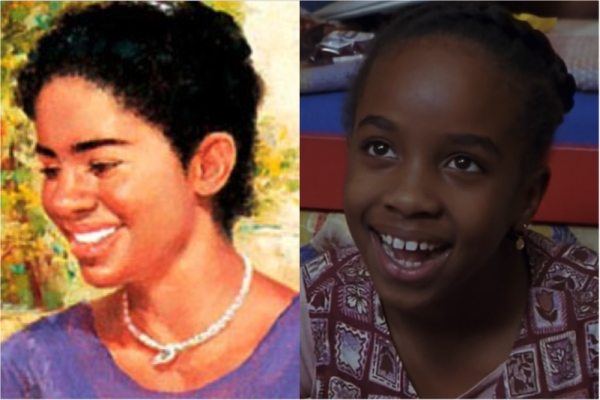 Before we delve any deeper into Jessi Ramsey’s role in the BSC, let’s get it settled in our heads that she is eleven years old. Eleven. She’s barely a tween and she’s responsible for the lives of multiple children at one time. She is a junior officer, but that only means she can’t sit at night. Okay, cool, now let’s consider her in the larger context of the club and the books as we bear in mind how ridiculous it is that she’s eleven. Jessi is Mallory Pike’s best friend, which is why she gets introduced to the club. Jessi is not from Stoneybrook originally, instead being another baby-sitter carpetbagger who swung into town as a result of a family move. Jessi is not as exotic as Dawn, though, as her family only moved from New Jersey to Connecticut, all of which we learn in Hello, Mallory, the book in which Mallory and Jessi became best friends. They also decide it’d be a great idea to try to compete with the BSC and start a group called Kids Incorporated. But without Kristy’s trademark bossiness and drive to succeed, the effort fails. Of course it also might have failed because it’s two eleven year olds trying to put themselves in charge of children’s lives. But I digress. Like her bff Mallory (because each baby-sitter must have a bff! ), Jessi has a love of horses and an affinity for language, though Jessi’s affinity for language manifests itself differently than Mallory. Her first feature book is Jessi’s Secret Language, in which she learns sign language to be able to communicate with a baby-sitting charge. Again, I’d like to point out, she’s eleven. In addition to horses and taking on monumental tasks of learning entire languages to help her earn some pocket money, Jessi is a prima ballerina. She is always weirdly stretching at BSC meetings, a habit that seems like it would get real irritating after awhile. While the rest of them are shoving Twix and M&Ms into their faces, Jessi is flouting her athleticism and prob smirking at Dawn about what a bunch of animals the rest of the baby-sitters are. We all have those friends who decide the best time for yoga is while waiting for a table at a restaurant – Jessi is that friend. Jessi’s ballet career, again, at age 11, seems pretty nutso, especially for someone who lives in a suburb of Stamford, Connecticut, and not in the middle of New York or Paris. She’s pretty sought after and gets an offer to study full-time under a prominent ballet instructor, but declines it (Jessi’s Big Break). Instead, when the baby-sitters are on one of their inexplicable extended international vacations she runs into this guy and turns out, hey, the production he is putting on in Europe (Europe!) needs a substitute dancer. So why not ask this random ELEVEN YEAR OLD to fill in, basically unrehearsed, for an international audience? Baby-Sitters’ European Vacation Super Special turns into Jessi And The Grand Ballet, but she still doesn’t leave Stoneybrook to study ballet full-time. Nope, she prefers her life baby-sitting and studying ballet with Madame Noelle who just loves to bang her wooden stick on the floor. In my head she’s kind of a McGonagall crossed with Umbridge crossed with Gandalf crossed with Anna Pavlova figure. Jessi always seems to be running into showbiz, even when it isn’t ballet-related. 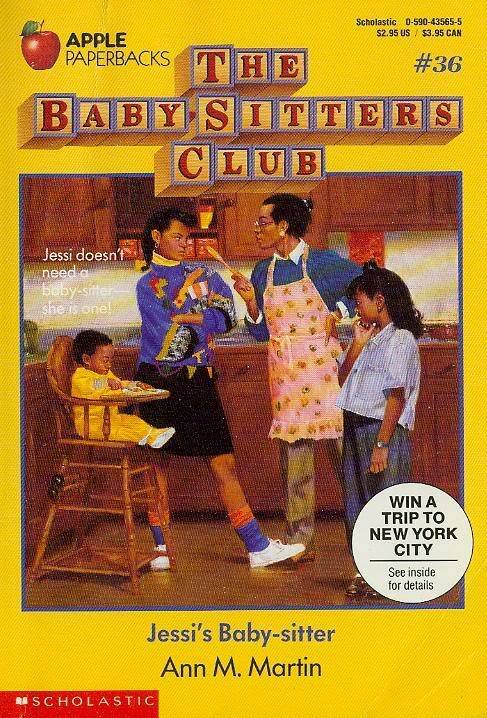 Jessi and the Superbrat is the book where she really gets to display some baby-sitting chops, when she deals with a kid who stars in a TV show and thus is a ‘major’ celebrity. He lives in Stoneybrook, so, naturally, his parents call the baby-sitters and are cool with having an eleven year old take care of him instead of going with an actual nanny or something. Or maybe even someone like sixteen. But he’s a brat, as the book title indicates, and Jessi, of course, handles the situation beautifully and all is well in Stoneybrook again. Jessi is a ballet prodigy and a baby-sitting star, but wow her plots can get really boring. Next week, we’ll delve into her slightly more exciting (mostly due to her siblings) bff, Mallory Pike.